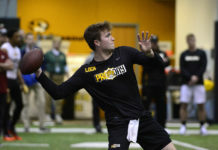 When the Los Angeles Rams made their big move from the 15th- to first-overall draft pick, it sent shock waves through the NFL, with dramatic ramifications for teams seeking a quarterback. Wednesday, the Philadelphia Eagles traded with the Cleveland Browns to acquire the second-overall draft pick. And though they already have a $35 million contract with quarterback Sam Bradford and have acquired former Kansas City Chiefs backup Chase Daniel for $21 million, they made no illusion about their plans for the pick. They want a quarterback. The dramatic moves made by the Rams and Eagles, along with exorbitant quarterback contracts handed out throughout the league – see Brock Osweiler – further proves that the NFL is starving for good quarterbacks, and the Broncos aren’t exempt. 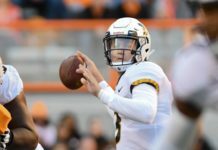 With the only two quarterbacks considered to be NFL-ready off the table two picks into the draft, what are Denver’s options? Most analysts have Paxton Lynch down as the third quarterback to get drafted, and everyone expects him to be gone well before the Broncos can pick him up at 31. At this point it would be borderline madness for the Broncos to trade their way up the draft with all of the “sure things” at quarterback gone. That leaves guys like Connor Cook, Dak Prescott or free agent quarterback “X.” Though talks with the 49ers and Colin Kaepernick have ground to a halt, San Francisco general manager Trent Baalke was shifty when it came to the subject of a possible trade. “Never say never,” Baalke said recently. If the 49ers were thinking of drafting a quarterback, or pretending that they were going to as a way to gain leverage in a Kaepernick trade, that plan’s dead and gone. 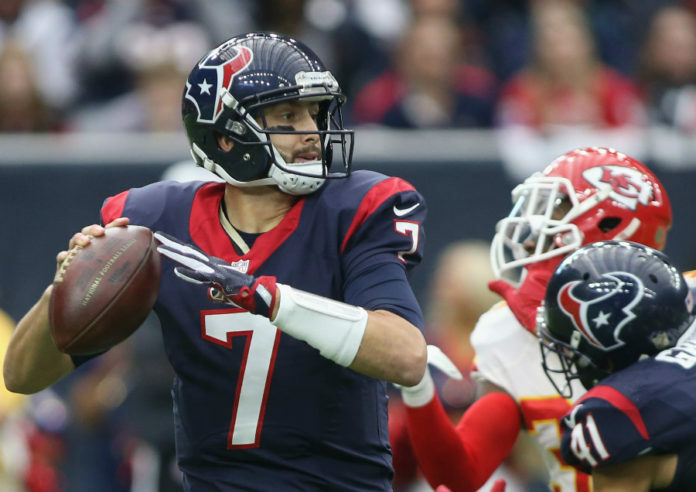 Another possibility is recently released Houston Texans quarterback Brian Hoyer. He has already visited with the New York Jets and is visiting Denver as well. Meanwhile Ryan Fitzpatrick is coming off a career year and has been seeking a contract in the mid-teens. Though he seems beyond Denver’s budget, he may not have a choice if the Jets decide to go with Hoyer. Neither the 49ers nor the Broncos want to pay Kaepernick what he wants. No one’s going to pay Fitzpatrick what he wants and Hoyer’s presence may inspire Fitzpatrick to take what the Jets are offering. 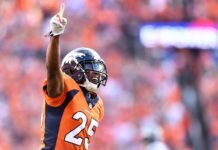 It’s doubtful that the Broncos will blink before the 49ers, who are pretending to possess leverage, and it seems that once again all roads lead to the draft and fans will just have to wait to learn the outcome.